South Africa-based Super Group has acquired Essex Auto Group in a £25m deal which will see it add to its existing Allen Ford network of dealerships for an undisclosed fee. Essex Auto Group staff were informed of the deal in a meeting with management at the group’s Dunton headquarters on Monday night and Super Group’s chief financial officer, Colin Brown, has now confirmed the details in an interview with AM. 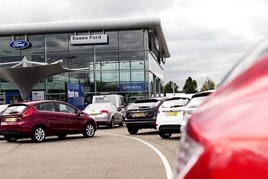 The acquisition includes the entire Essex Auto Group, which is made up of five Ford franchises (Southend, Rayleigh, Thurrock Lakeside, Billericay and Basildon head office), Kia sites in Southend and Thurrock Lakeside and Fiat and Mazda in Southend. The acquisition, completed with final exchanges yesterday, sees Super Group’s UK concern rise to a total of 18 Ford sites and doubles the size of its Kia (2) and Fiat (2) representation. Brown confirmed that the sellers, Essex Auto Group chairman Philip Maskell and fellow director Michael Brown, would leave as part of the deal, but said that much of the business would continue to be run in the same way. Essex Auto Group’s published accounts for year end October 2016 reveal turnover at £158 million and pre-tax profits of £1.8 million. Its return on sales was 1.1%. According to AMi, the group employs around 300 members of staff. Super Group's Brown revealed that Super Group had been involved in a “competitive sales process” following the lodging of an initial bid for Essex Auto Group in November last year. He was unwilling to reveal how much of an investment the ultimate deal represented, however. The weak pound had played into the hands of the South African investors, according to Brown, with the Rand’s relative strength increasing during the course of deliberations over the acquisition. “In that respect, the market played nicely into our hands,” he said. Brown suggested that this might not be the end of Super Group’s UK investments. The group, which acquired Ford dealer, Allen Ford, for a sum £33.9m back in October 2014, taking on a group made up of 13 franchised Ford motor dealerships and two franchised Kia motor dealerships, has a total of 54 dealership sites in South Africa and strong relationships with a number of manufacturers, he said. 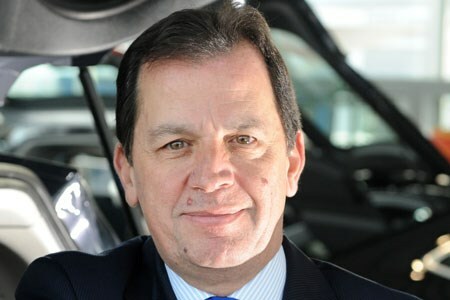 Former Essex Auto Group chairman Philip Maskell refused to comment on the deal when AM contacted the business this week. David Kendrick of UHY Hacker Young, who AM understands advised on the deal, also refused to comment. Click here to read AM's dealer profile feature on Essex Auto Group from 2012.